I've been making nerf videos on YouTube for around 5 years now, it's something I love doing, and have invested more and more time into. 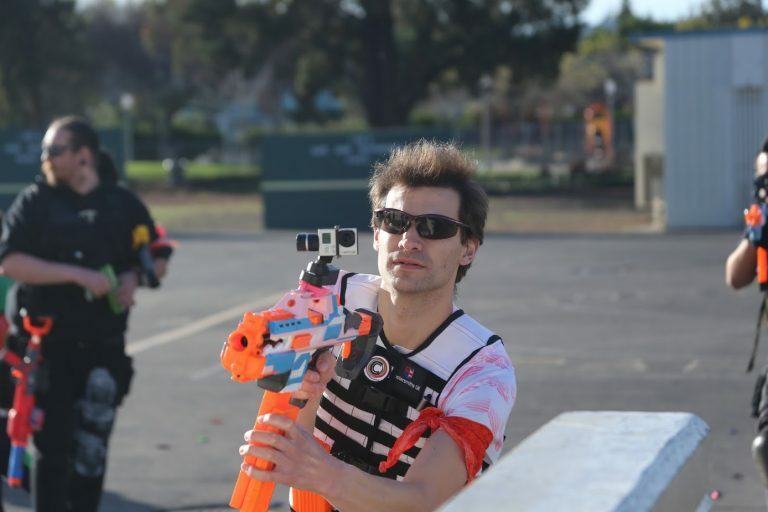 My focus is to inform and entertain, creating a combination of nerf news videos every week, gameplay videos, and gear reviews. I want to continue to grow and provide better and better videos for everyone. For those that want to support the growth of the channel through patreon, thank you. For those that may not be able to or aren't interested, thank you for just being a part of the channel and community we're building, I never want people to feel obligated to support the channel monetarily. I have also tried to focus the patron tiers to give the best value I can for a low amount. I would rather more people be involved for less, instead of making this feel exclusionary by pricing rewards high. Without you the channel is nothing, your support will help me invest in the channel, whether it's equipment, blasters to review, travel expenses, or other related expenses, we'll be able to do more because of you. Thank you for your time, and your continued support in the growth of not only our channel, but the community as a whole, whether you choose to become a patron or not. - Your name in each video of This Week In Nerf you're a patron for. - Access to raw unedited Nerf gameplay footage. - Patron status in discord. - Access to the patron feed where I'll update you on projects and behind the scenes images or videos. - All the previous tier benefits. - Access to my planned videos list. - If I have several blasters I want to use at a game, items to review, or topics to discuss, and I can't decide, be a part of a group that helps me decide what to go with. - You choose a video to be made! Do you want me to do a certain loadout video, gameplay for a certain blaster, or have a topic you want discussed? This is your way to make it happen! IMPORTANT! Before backing at this tier, contact me and we'll discuss your idea to ensure it can be done before you commit your support. Nerf is a physical hobby, gear and camera equipment can take a beating, blasters can need updates and reworks. Reaching this goal helps replace broken equipment to keep videos coming your way!